Product #6110 | SKU DTP-802 | 0.0 (no ratings yet) Thanks for your rating! 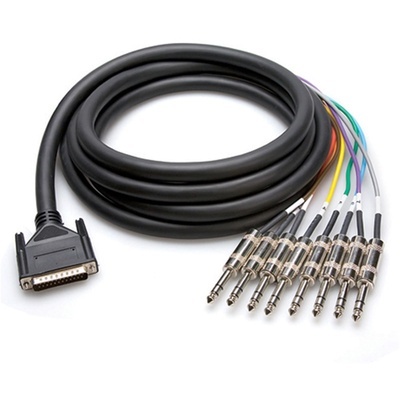 The Hosa DB25 to 1/4'' Snake Cable (2m). This snake is designed to connect gear with DB25 sockets to gear with balanced phone jacks. It is ideal for use with mixing consoles, patch bays, and multitrack recorders.